“Bro, you have sawdust all over your suit,” a colleague casually pointed out. The statement, though short and obvious, was life-altering for Tony Smith. Up to that moment in time, Smith was balancing a full-time job in finance with his passion for making wooden paddle boards. Monday through Friday was spent in the office, but nights, weekends, and lunch breaks were spent in his garage, the birthplace of his company. One afternoon, after spending a 30-minute break working on boards, Smith returned to the office where his admin called attention to the debris clinging to his shirt. In that moment, Smith realized he had a choice to make. 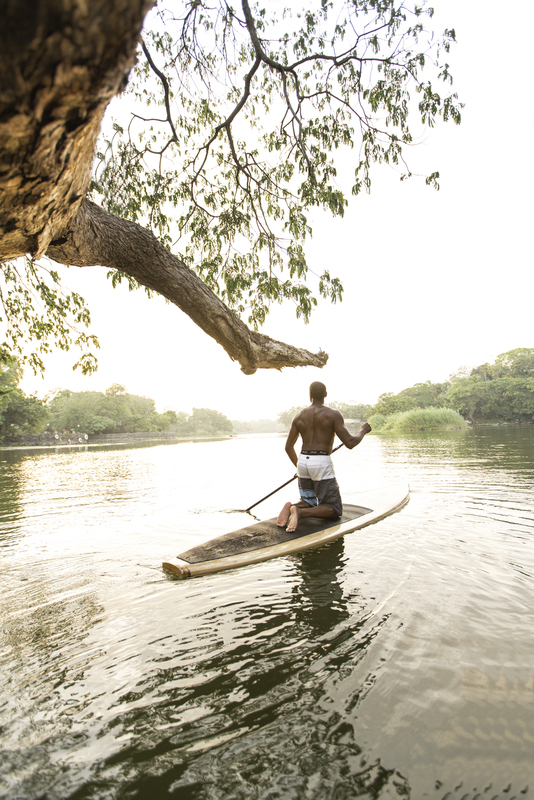 Even though he loved his job and his colleagues, he chose to pursue his passion—to handcraft wooden paddleboards out of his workshop in Austin, Texas—and hasn’t looked back. Today, he’s the face and founder of Jarvis Boards. Tony Smith sets out for a paddle. Photo by David Wells. 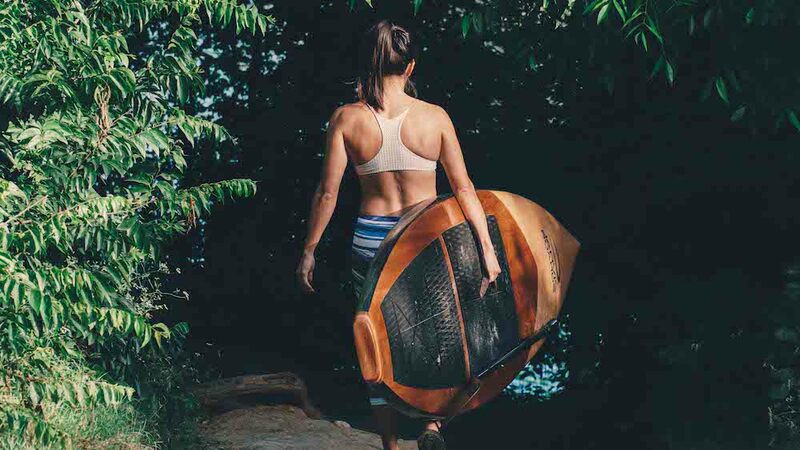 So where does someone working 40-plus hours a week in finance find the inspiration to build wooden paddleboards? Smith’s affinity for tearing apart and re-building things started during childhood. But by the time he graduated college and landed an “adult job” as a stockbroker, his time to craft and create dwindled. There were greater career opportunities and wealth ahead, but less time to fuel his passion for creating and adventure. He wanted to get back to building, but it wasn’t until he stumbled upon a “how-to” guide at a local bookstore that he felt inspired to craft his first canoe. Instead of a canoe or kayak, Smith started building wooden paddleboards. Interest in them was immediate and, to his surprise, people began buying them right out of his garage. As sales continued to climb, Smith kept making boards, and without him fully realizing it, he had a company on his hands. 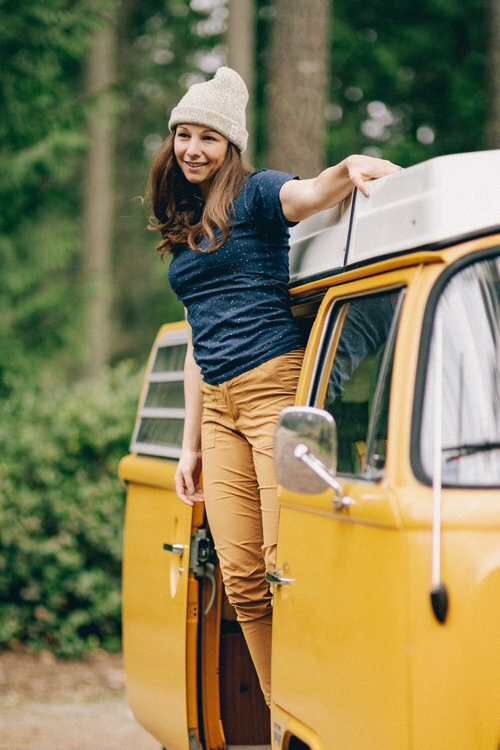 Now in its fourth official year of business, Jarvis Boards operates on two important core values: 1) Travel adventurously and 2) Live consciously. They’re two beliefs Smith strives to live out in his own life. As for living consciously, Smith is a proponent of making intentional choices. This attitude is reflected in each board he builds. 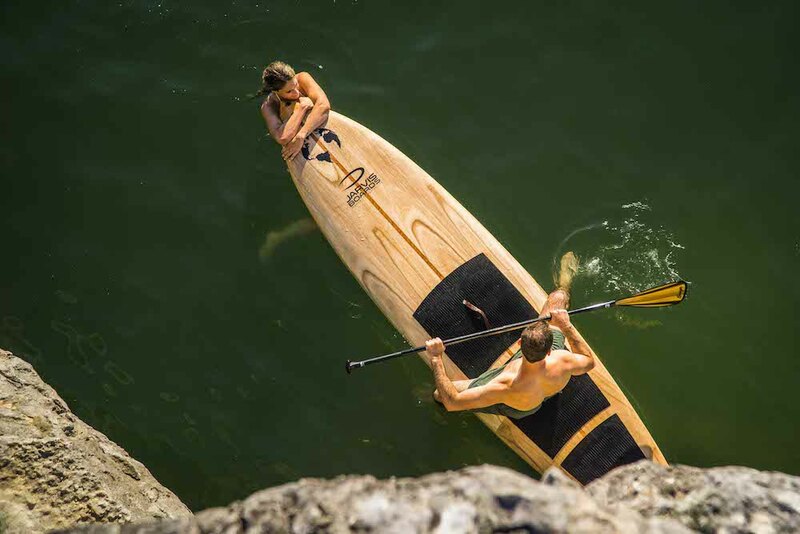 All of the SUPs are designed to be lightweight, functional, and environmentally friendly. To accomplish this, Smith primarily uses recycled foam core, eco-friendly lightweight wood, and resin made from recycled bio-waste. The boards are finished with solid wood, which is a structural choice that adds strength to the board and makes it last longer. It also helps minimize the amount of petroleum-based products that go into each board. Although the journey behind Jarvis Boards is rooted in Smith’s personal need to build and create, his focus is now on building boards for people to love and use in their daily lives, and inspiring more people to get out of their comfort zones and on the water. To learn more about Smtih and Jarvis Boards—and to see more of his wooden paddleboards—follow along @jarvisboards.